When this spell comes into play, you may draw up to 2 cards. No player may play reaction spells. 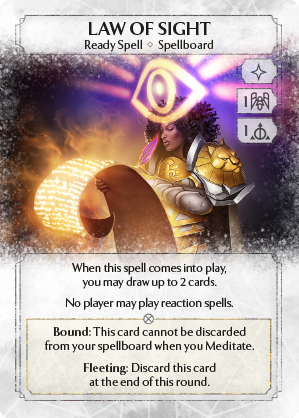 Bound: This card cannot be discarded from your spellboard when you Meditate. Fleeting: Discard this card at the end of this round.